Personalized Flair Latte Ceramic Mug 14oz is made from ceramic. 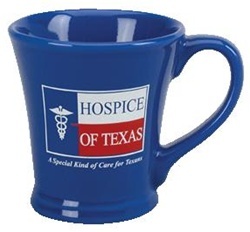 Promotional Latte Ceramic Mug comes with narrow base and wide mouth opening. Personalized Flair Latte Ceramic Mug 14oz is available in 22 Gloss and Matte colors: White, Black-1, Blue-2, Grey-3, Green-4, Burgundy-5, Tan-6, Yellow-8, Brown-10, Peach-11, Mint Green-12, Sky Blue-15, Dark Grey-16, Olive-17, Sage-18, Periwinkle-19, Orange-25, Purple-26, Lime Green-27, Serene Green-28, Retro Blue-31, Brown-35.